Tim Hogan's Carpets & Floors is a locally owned full-service floor covering store that has been serving the Greater Memphis area for over 30 years. We are committed to providing you with the flooring you have always envisioned for your home. Our Company represents a wide array of Carpet Manufacturers and thousands of different styles of Carpeting by such well known Fiber Companies as STAINMASTER. In addition, we offer the best Brands of Hardwood such as Bruce, Anderson and Mannington, Vinyl floors, Ceramic tile, Blinds and Shutters and other Decorative products. We offer Decorating assistance to our clients in color coordination of all interior finishes for their homes as well as consultations in floor covering coordination with counter tops, bath tiles, wall colors and cabinets and other surfaces for new construction when clients purchase our floor covering. 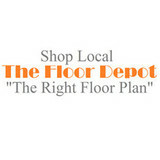 The Floor Depot is a family owned and operated business that offers friendly service, creative vision, and years of experience. We take pride in our products and services and offer the absolute best quality, service, and selection of products. We understand that the home is a place of comfort, a place to be proud of, a place where you can relax and make wonderful memories. We are committed to serving your family and guarantee you will love your new space. You can visit us at any of our three Mid-south area locations. We offer a large selection of Carpet, Laminate, Hardwood and other materials in stock at our Airways warehouse, hope to see you soon! Sell and install all types of flooring such as carpet, laminate, hardwood, tile, and vinyl. Expert installation for residential and commercial. We offer an extensive showroom with thousands of samples and lots of products that are in stock, as well. We are open Monday-Friday from 8-5 and Saturdays from 8-12. Free estimates. No job is too big or too small. 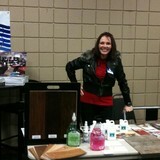 Tile, stone, glass, wood tile for floors, bathrooms, kitchens, backsplashes. Design help. Working in Memphis and the surrounding areas, my company is committed to all of your project needs. We specialize in hardwood flooring, carpet, and tile. We are here to make this project seamless and timely. We look forward to working with you soon. Shop Name Brand Area Rugs in All Styles, Sizes, and Colors Up to 50% Off at Rug and Roll. Free Shipping. 20%-70% Off Area Rugs. In-home Trial Policy. Sizes 4x7 thru 12x15. Live Customer Support. Over 16,000 Rugs. Money Back Guarantee. Order Online Or By Phone. Best Prices. We do all floor coverings! Ceramic Tile, Hardwood, Laminate, Vinyl, Custom showers and Carpet. We also do blinds. Abstract Floors & Design Co.
We are not your typical flooring company, We know what home owners want as it pertains to flooring; unique, beautiful, durable, easy to clean and maintain and long lasting but not boring or expensive like tile, or other floor coverings. They want something better. Something different. That is what our residential flooring solutions can offer. We are excited and eager at Tim Hogans Carpet & Floors to get to know you and help you with all of your floor covering needs. We offer in-home service and are very experienced in the commercial area. We look forward to meeting you at our Southaven ,MS location. Thank you for your continued business throughout the years. Carpet dealers in Memphis, TN help homeowners choose the correct carpet covering for their floors, and also assist with carpet maintenance. This includes determining factors like material, carpet pile, durability, color and size, as well as helping with any custom carpet design. After completing the initial installation (which includes removal of the old flooring, if applicable, and surface prep), they may also handle follow-up maintenance requests such as carpet cleaning, carpet repair and carpet stretching. Find a carpet dealer on Houzz. 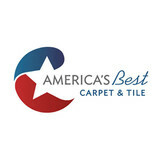 Narrow your search in the Professionals section of the website to carpet dealers in Memphis, TN, and read reviews and ratings for pros in your area.